What is social reality for men in modern society? What maintains or explains this social reality? What condition might we imagine that would be better for men? How might we achieve this better condition? These are the questions Kenneth Clatterbaugh brings to seven different visions of men in modern society considered in this newly updated edition. In clear and insightful language, Clatterbaugh surveys not just conservative, liberal, and radical views of masculinity, but also the alternatives offered by the men's rights movement, spiritual growth advocates, and black and gay rights activists. 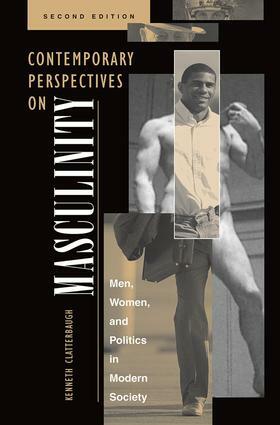 Each of these is explored both as a theoretical perspective and as a social movement, and each offers distinctive responses to the questions posed.The first edition of this book was the first to survey the range of responses to feminism that men have made as well as the first to put political theory at the center of men's awareness of their own masculinity. This new edition adds chapters on recent highly-publicized movements such at the Promise Keepers, Million Man March, and the evolution of gay men's rights. Clatterbaugh treats all views with fairness and timeliness as he develops and defends a vision of men and masculinity consistent with feminist ideals and a just society.